Click to view the revised 2nd edition of The Grant & Goodridge Paint By Number Collections catalogue, containing images of all of the canvases on display and available for sale in the exhibition. This is not the first exhibition that has featured Grant’s Paint By Number collection, but the first that is available for sale to the public. In 1999, the Bowling Green State University (Ohio) Popular Culture Archive mounted an exhibit of several significant pieces that Peggy Grant donated to their collection: prototypes, numbered breakdowns and finished paintings created by her or her late husband Adam. 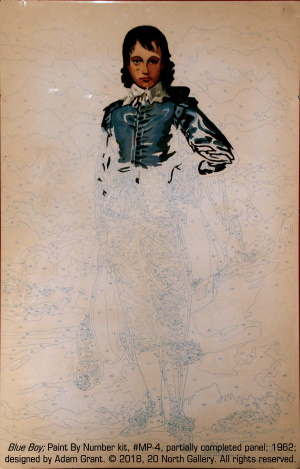 Then, in 2001, the Smithsonian’s National Museum of American History (Washington, D.C.) presented the blockbuster exhibit, Paint By Number: Accounting for Taste in the 1950s. Many works now on display here were part of that year-long exhibition, along with much of the personal collection of Paint By Number pioneer, Dan Robbins. 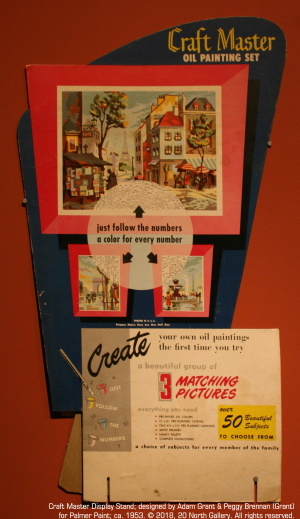 Robbins and Grant served as consultants to the Smithsonian exhibit, drawing upon their long careers at Craft Master, founder of the Paint By Number brand. Ann Goodridge (b. 1939 – d. 2016) was a prominent Toledo collector, whose private fine art collection numbered several Adam Grant masterwork canvases. After becoming a close friend of Peggy Grant, Goodridge began to build an extensive collection of Paint By Number canvases, in tribute to the Grants indelible rôle as two of the original designers in this American popular culture phenomenon. Goodridge’s Paint By Number collection focuses on canvases that were designed by Adam and Peggy Grant during their time at the Craft Master company. Adam Grant specialized in landscapes, dancers, adaptations of art masterpieces and nudes. 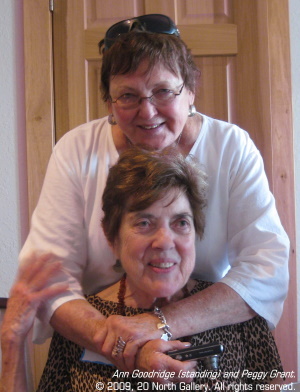 Peggy Grant’s specialties were horses, dogs and sporting scenes. With the exception of a few archival items, all of the collected work is available for purchase. Print editions of the exhibition catalogue are also available for purchase, as well as signed copies of Dan Robbins’ historical memoir, What Ever Happened to Paint-By-Numbers?